The Telrad is a very innovative and easy to use finder since you still see the full sky in front of your eyes (and not just a small part of the sky as happens with classic optical finders). 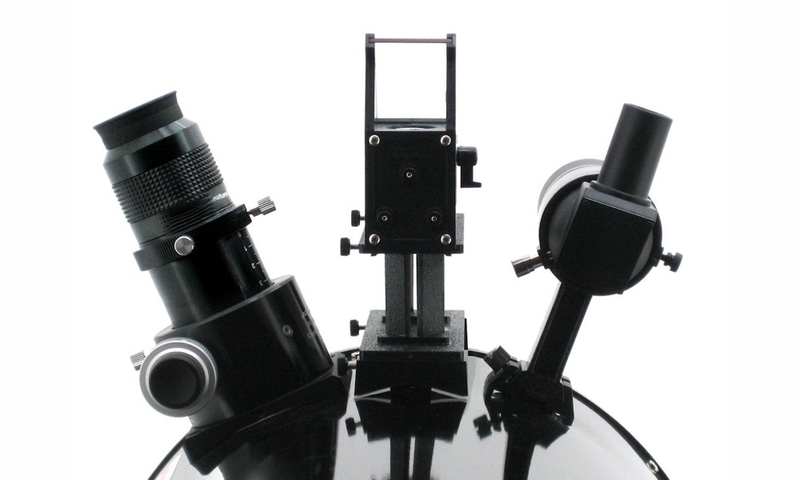 The Telrad can be used almost on any telescope: it comes with a universal quick release base which you can mount on almost any telescope. The base can be mounted either with screws or simply with double-sided tape (recommended). It will fit on tubes with a widely varying diameter or even on flat surfaces. All you need on the side of the telescope is a clear length of 17.5cm or longer to mount the base. The base can be left permanently mounted on the telescope and the Telrad can be removed with two thumbscrews. The Telrad projects three rings (0.5°, 2° and 4°) onto a glass window. You look at the night sky through this window and you will see the unchanged sky, but with these three rings "hovering" in front of the stars. 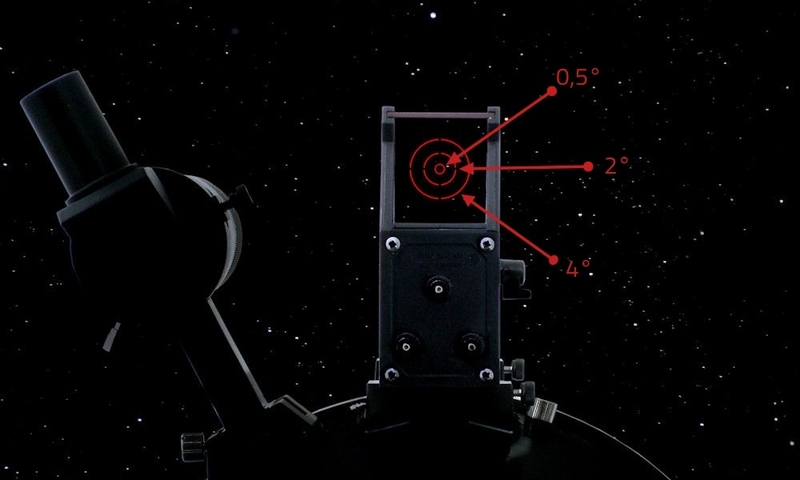 As soon as you have centered the object in the smallest ring you will find it in the field of view of your telescope. You can align the reticle with three collimation screws to perfectly match your telescope.